"It is an absolute honour to see you fight." 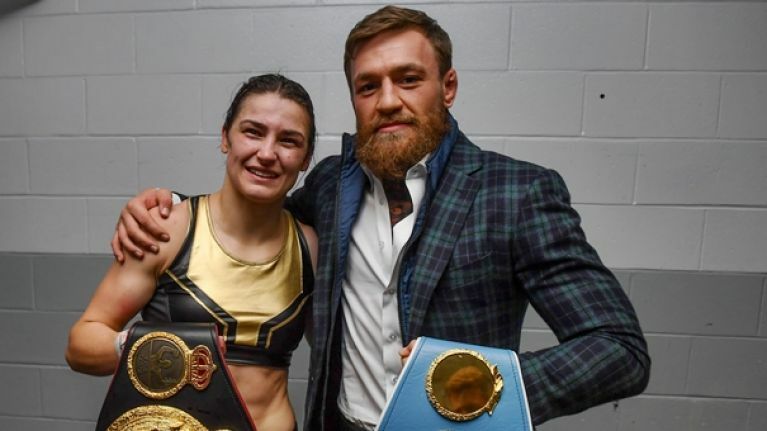 Conor McGregor was as gripped as the rest of us as he watched Katie Taylor battle to another defence of her world titles. Taylor successfully defended her WBA and IBF titles by comprehensively out-pointing Cindy Serrano on her way to an impressive victory. 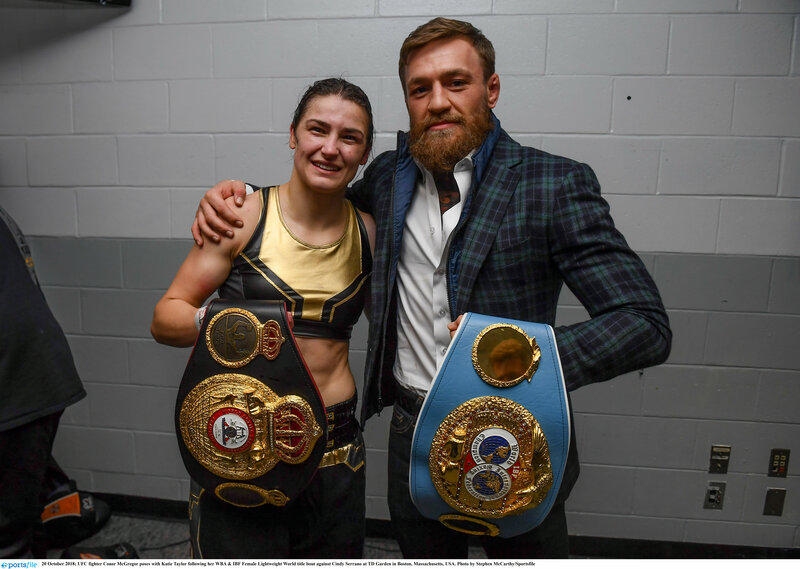 McGregor was a rapt supporter, ringside, and he was fortunate enough to visit Taylor backstage after her win. "No, thank you. It is an honour to see you live. Big respect Katie, honestly. "Big respect, honestly. But you were enjoying it; hand behind your back. If they are not enjoying it, then enjoy. "But they should have given you a microphone [after you won]. You're in your environment... but honestly, honestly, you put all of us to shame. You are a special talent." "You're a special, special talent. Filled with hard work - you can see it and big respect to you. "I'll hit you up and I'll see you soon... I'm delighted to come here and see you live. You're unbelievable Katie. "You deserve way more respect. Take your respect; demand it. "That's why I would have loved if they had given you the mic. Start taking on the division, and going at it. Because you have the ferociousness in you. You're ruthless in there. I could see it in your eyes when you were in there. "So just keep doing your thing. I have your back all the way. I'll back you all the way; whatever you need. "It is an honour for me to come and see you. You're an Irish hero, and I mean that." 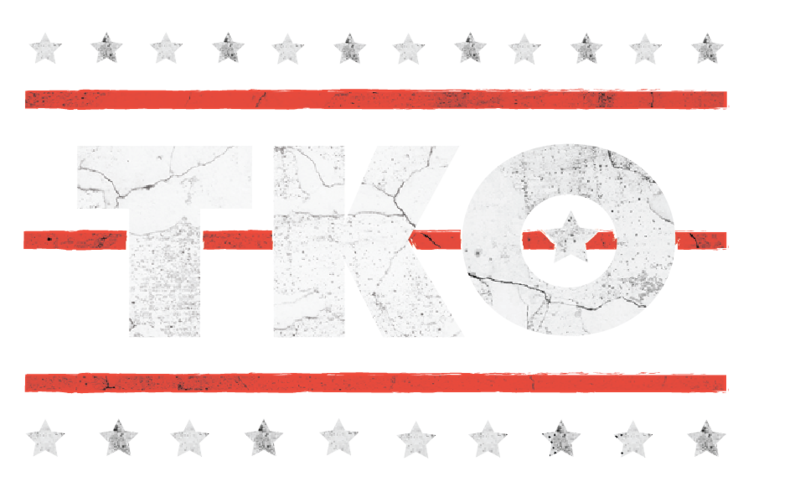 Coming from a two-time champion - in Cage Warriors and the UFC - that is high praise. One hopes Taylor gets the profile boost she deserves after her latest win, and her glowing endorsement from McGregor.